Medicine and Technology: Would You Purchase Drugs Online? Would You Purchase Drugs Online? What do you think about this concept about purchasing drugs online? How can you really trust your source? Would you buy from an online pharmacy? What if the online pharmacy was across the globe? We live in a world where people are selling counterfeit drugs and it's becoming more and more difficult to discern the reliability of some generic manufacturers. On the flip side, because of soaring drug costs, it's becoming more difficult for patients to afford their medications here in the United States. The same drug may be much cheaper if you go to a different country. Why? That doesn't seem quite fair, does it? 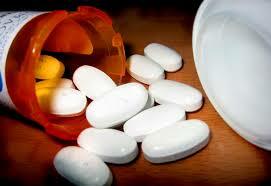 For instance, many generic drugs are manufactured in India. Would you feel comfortable purchasing pills directly from India? Can you trust a foreign pharmacy? Do you even need a prescription to do that? You may be surprised to know that in many other countries, you can purchase prescription medications without a prescription. Drugs like antibiotics are literally over-the-counter. Soaring drug costs are a huge burden to our current healthcare system. New drug development costs billions of dollars. Pharmaceutical companies spend a large amount to market their drugs. As a result, new drugs are branded and no generics are available. Drug costs are high. Patients are getting desperate and resorting to unusual means. Some patients are cutting their pills in half. Others are taking their daily medications every-other-day. As a result, blood pressures are rising in those with hypertension, glucose control is worsening in patients with diabetes, and patients are ending up in the hospital.